Argentina is a large and very developed country that produces and exports many different foods including beef, grains, and wine. Argentina is particularly famous for its wine and its beef. The asado, an elaborate meal of grilled meat, is one of the most important culinary traditions in this country. Argentina's cuisine is very influenced by Europe and includes many Spanish-style dishes, Italian pasta and pizzas, and French pastries. The Argentinians add their unique style to these dishes, however, making them their own. In Buenos Aires, one can find a very sophisticated restaurant culture, with foods from around the world. In the more rural parts of Argentina, people still eat a more traditional South American diet. 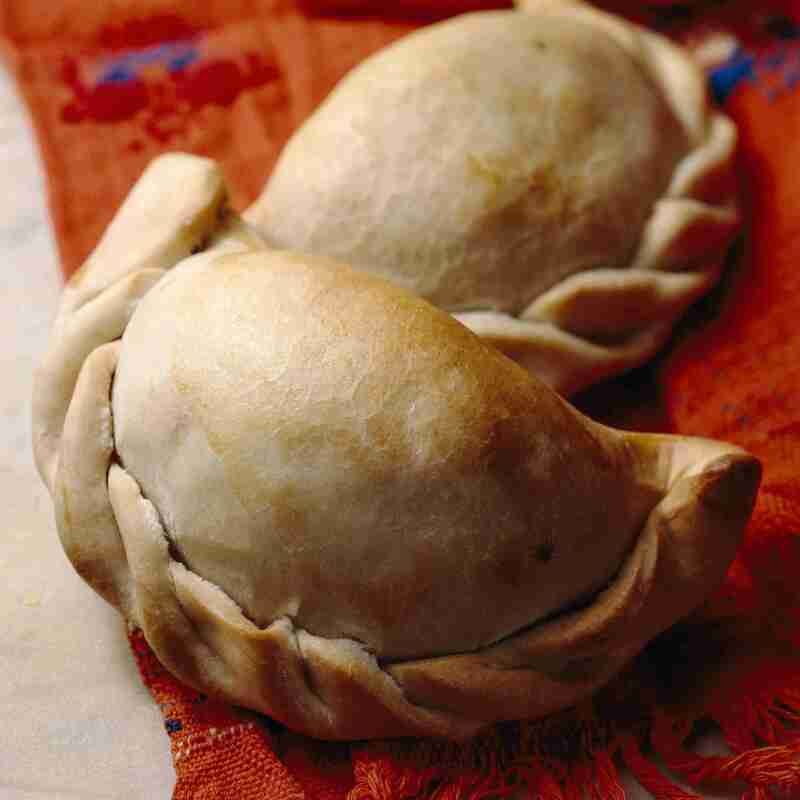 Empanadas Tucumanas are essentially tiny, homemade meat pies with a bit of egg and lot of wonderful spice. Chorizo Sausage cut this popular spicy sausage into bite-sized chunks, add toppings, and you've made the perfect appetizer. Pizza a Caballo is a "pizza sandwich," made with two very different kinds of dough. ​Fainá with Chorizo, Blue Cheese, and Spinach is similar to a flatbread pizza – but with a twist. The flatbread portion of the dish is made with flour derived from chickpeas, and the topping is delicious! Chimichurri Sauce, featuring garlic and parsley, is a terrific accompaniment for meat, chicken, and fish. Grilled Provolone Cheese is a smoky, delicious treat and a wonderful side dish to accompany a full meal. ﻿Picada Argentina is a plate of tasty meats, cheeses, and other treats intended to shared and eaten with the fingers. Asado is a grilled feast, featuring a wide range of meat and vegetable dishes as well as side dishes and desserts -- all served with a variety of sauces. Carbonada Criolla is a beef stew with a unique twist. Instead of the usual potatoes and onions, this recipe features sweet dried fruits and sweet potato. Fugazza is Argentinian-style focaccia – and like all flatbreads is an extremely versatile dish. Try it with classic baked mozzarella, or experiment with a stuffed variety called fugazzeta. Dulce de Leche means "sugar of milk," but it's a delicious and popular caramel sauce used to sweeten many Argentinian desserts. Alfajores are layered cookies with crisp exteriors and soft, creamy interiors. They come in many flavors and sizes. Pasta Frola de Dulce de Membrillo is a wonderful dessert made with a cookie-like shortbread crust and quince paste filling. Torta Negra Galesa is Patagonian Black Welsh Cake – a rich, delicious variety of fruitcake. One of the most important Argentinian beverages is yerba mate tea. Drinking yerba mate is a very social activity. Tea drinkers brew the mate in beautiful gourd cups and sip it with a silver straw called a bombilla. Yerba Mate Tea: learn how to make this classic Argentinian brew. El Submarino This special Argentinian hot chocolate includes a side of chocolate that plunges into the hot beverage and melts to make the flavor even richer. Tortas Fritas Though they resemble Native American fry bread, tortas fritas are more like fried biscuits. Malbec is Argentina's signature grape, and it is quickly making a new name for itself with red wine lovers.